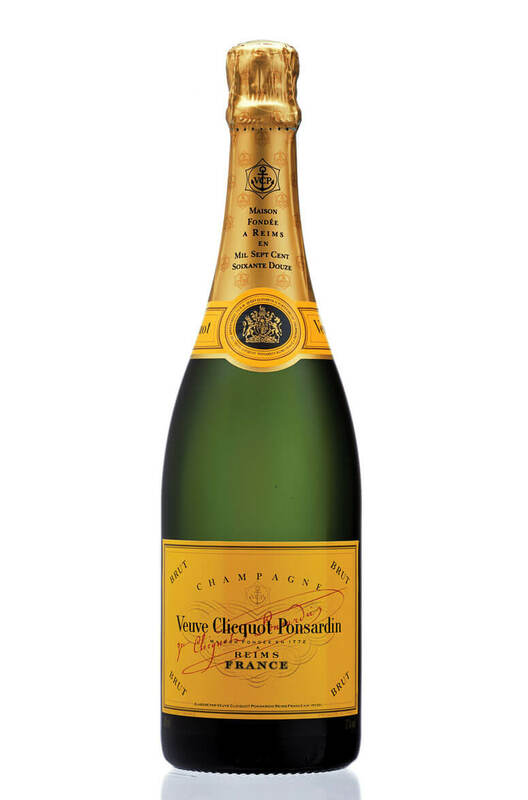 The Veuve Clicquot Yellow Label is a much loved Non-Vintage Champagne. It owes its superior richness and depth to a high proportion of Pinot Noir in the blend. The composition is 50-55% Pinot Noir, 15-20% Pinot Meunier and 28-33% Chardonnay. The proportions vary from year to year depending on the quality and selection available from vintage wines. A good proportion of aged reserve wines are also in the blend and these are chosen to add complexity with appoximately 25-40% ending up in the final seletion. The company have vineyards which are rated amongst the best in Champagne (on average 96/100) and their chalk cellars run for 24 kilometres under the same soil. Grape Variety Pinot Noir, Pinot Meunier and Chardonnay. Attractive, rich, toasty and even a touch smoky. This is an excellent full-bodied rose Champagne wit..
Veuve Clicquot Yellow Label is a much loved Non-Vintage Champagne and it owes its superior rich.. The Veuve Clicquot Yellow Label is a much loved Non-Vintage Champagne. It owes its superior richness..
A superb vintage Champagne made using 34% Chardonnay 61% Pinot Noir 5% Meunier. ..